Here to accommodate your various, unique needs. 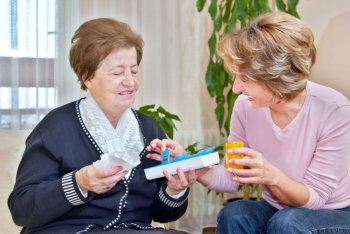 Elite Home Care provides in-home personal care to meet your unique needs. Our Personal Care Assistants will be there to help you with non-medical health-related needs and day-to-day activities. When everyday tasks such as preparing meals, getting dressed, or completing errands become a challenge, Elite Home Care offers assistance with daily-living support services. Our goal is to help loved ones continue living independently in their own homes and in the community. Do you or your loved ones need assistance with such activities? Then contact us or schedule an assessment so one of our Registered Nurses can immediately start evaluating your needs and creating a customized care plan.